Thanks to new and advancing technology, security teams must face the challenges that come with modern threats. Analytics capabilities can help. Is your SIM system keeping up with the latest techniques for thwarting threats? 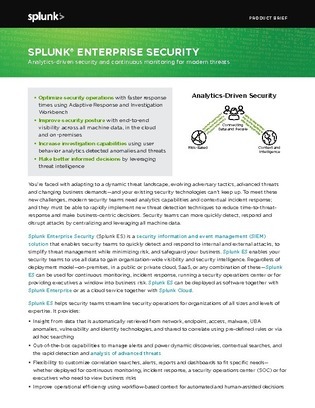 Analytics-driven security today allows security teams to more quickly detect, respond and disrupt attacks by centralizing and leveraging all machine data. Tap into the insights offered through this white paper on analytics-driven security and how to continuously monitor modern threats.